IFS has been a leading company in the field of enterprise resource planning (ERP) software solutions since 1983. Their focus is usability, agility, and cost-effectiveness, with simplicity, commitment and professionalism as the key words that define their business. IFS is a vendor in the industry of asset management manufacturing, product management, field service management, and supply chain management software. They have 2,800 employees worldwide whose primary focus is to deliver superior products and service to the 2,100 companies in over 60 countries that use IFS applications. With over 20 support centers worldwide, customer support is always close by. IFS Applications is a single product that puts together the best of all ERP software solutions. With solutions for enterprise asset management, maintenance/repair/overhaul, field service management, manufacturing operations, project and project portfolio management, and supply chain management, IFS Applications is a true, single product integrated software solution that can meet the needs of nearly every business. It allows for the mobility necessary while in the field, and the product is flexible and service-oriented. The IFS ERP software solution is built around the idea that you need to anticipate changes in technology, economic climate, and within the business. IFS Applications is especially appropriate for engineer-to-order (ETO) manufacturers, configure-to-order (CTO) manufacturers, engineering-procurement-construction (EPC) contractors, industrial manufacturers, service companies, and more. The modular program design means IFS clients can choose as much or as little functionality as is needed at their businesses. 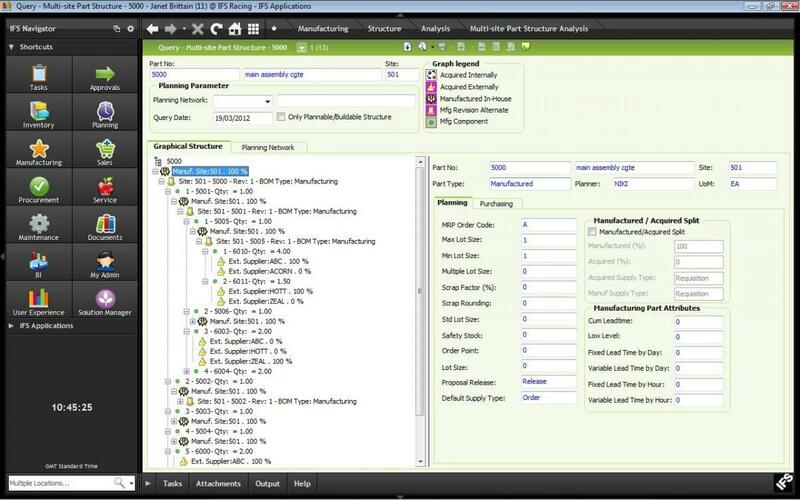 IFS ERP works perfectly for product manufacturing businesses as well as project-driven businesses. IFS Applications is designed to allow for more productivity with less cost, and at less risk to your business. Learn everything you need to know about IFS Applications. Our experts will reach out to you shortly.